On his way out the door, Jon Stewart helped raise $2.2 million for an autism charity. The ticket raffle Stewart announced back in April spurred entries from more than 47,000 people from 78 countries. Most of them made small donations -- $10 or $20 each — but it added up to $2,235,520. 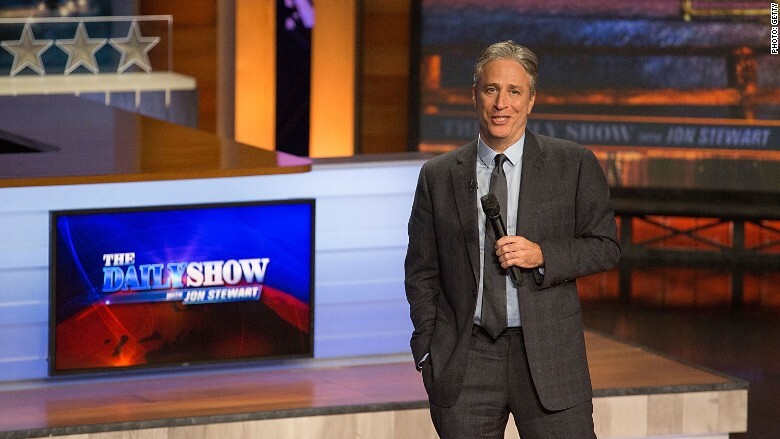 The raffle winner, identified as Sameer P. from Santa Clara, received two tickets to Thursday's finale of "The Daily Show with Jon Stewart." The donations will go to New York Collaborates for Autism. On Thursday, a few hours before Stewart's sign-off was televised by Comedy Central, Omaze released the fund-raising totals and said it was "fitting that he leveraged his final show to raise over $2 million for this incredible cause." An earlier version of this story incorrectly said this was the first time Stewart teamed up with Omaze to raise funds. In fact, Stewart has worked with the agency twice. Also, the winner of this week's lottery was Sameer P. from Santa Clara; Paul Dorasil, who was named in the earlier version of this story, was a previous winner.